Made from 100% sheep wool. 5″ wire handle for broad, smooth stain and dye strokes. This is a great applicater to apply waxes in small places. 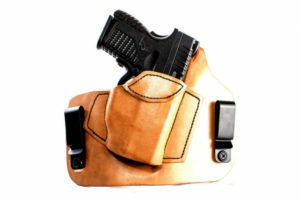 To clean in tight areas of a holster or magazine carrier.